Your contribution can change everything, any amount counts! Saint Petersburg today it is one of the most vibrant, flourishing Jewish communities in the former Soviet Union, with roughly 100,000 Jews, making it the second-largest Jewish community in Russia. Annual conferences, started in 2011, reflect high intellectual caliber and cultural-oriented programming, as one would expect from a Jewish learning festival held in Russia’s cultural capital. 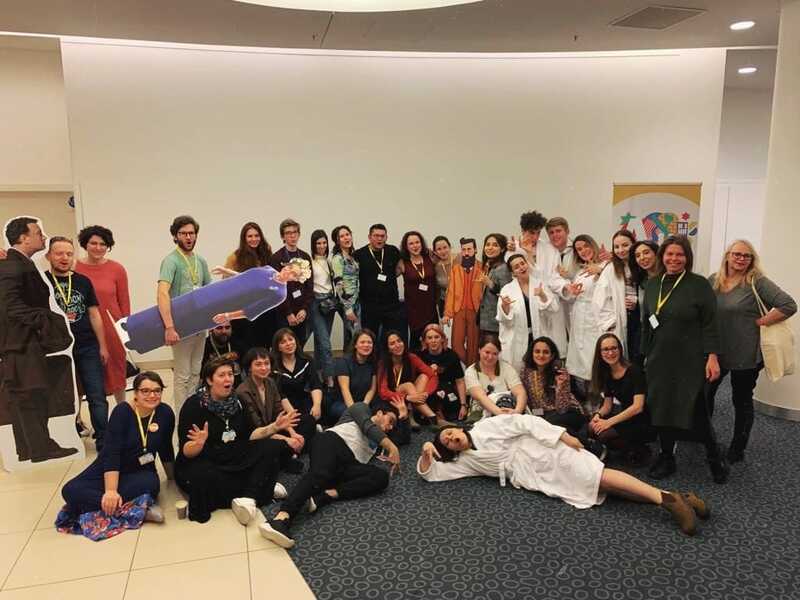 Limmud FSU St. Petersburg featured over the long weekend more than 100 lectures, workshops, and discussions in the pluralistic spirit of Limmud. The top presenters this year included the economist Evgeny Kogan, the acclaimed animation director Garry Bardin, famous educator Dima Zicer, Director of the Religious Community of Saint Petersburg Rabbi Shaul Brook, Russian-Israeli Jewish-religious philosopher Pinchas Polonsky, Former Israeli Member of Knesset and head of Jewish Agency's representative office in St Petersburg and North-west Russia Orit Zuaretz and many more. Limmud FSU St. Petersburg was made possible thanks to a devoted team of volunteers, led by Executive Director Roman Kogan, together with Iulia Anokhina, Yulia Karasik, Faina Rokhlina, Irina Fatyanova, Regina Pritula and Alla Lemlekh among others. The Conference was made possible through the support of the Euro-Asian Jewish Congress, the Genesis Philanthropy Group, JDC, the St. Petersburg Jewish Religious Community, Nativ - Israel Prime-Minister's office, Jewish Culture House ESOD, the Russian Jewish Congress, the Jewish Agency, Joel Passick and others.